And the winner is? Take your pick: Gov. 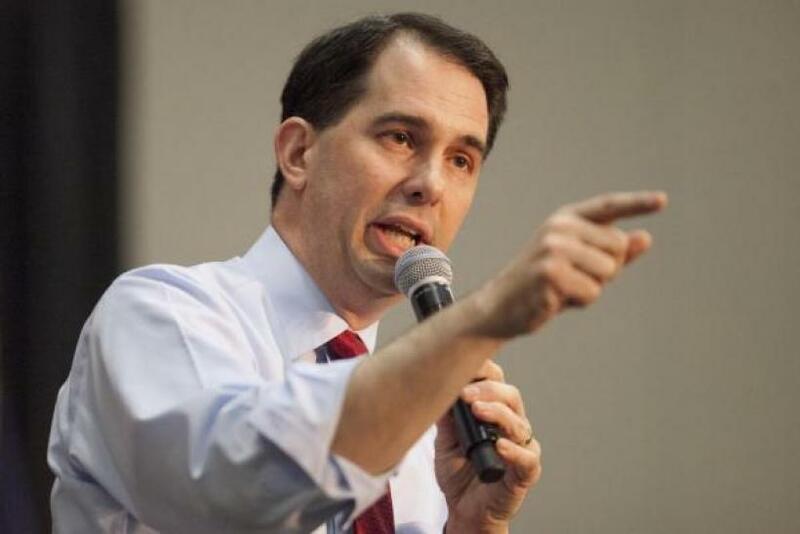 Scott Walker of Wisconsin and Sen. Rand Paul of Kentucky squeezed out a wafer-thin lead over their numerous Republican rivals last week in a poll among likely primary voters in New Hampshire, which will hold the nation’s first presidential primaries next year. In a poll conducted by the research firm Purple Insights for Saint Anselm College and Bloomberg Politics, likely GOP voters were asked which candidate they’d vote for if the Republican primary were held today. Out of more than a dozen candidates either already in the race or expected to dive in soon, Walker and Paul were the first choice for 12 percent of likely Republican voters. Sen. Marco Rubio and former Gov. Jeb Bush, both of Florida, were not far behind, with 11 percent of likely Republican voters saying they’d vote for either Rubio or Bush. Real estate mogul and reality-TV personality Donald Trump was third on the list, the first choice among 8 percent of GOP voters. Rounding out the top five were New Jersey Gov. Chris Christie, with 7 percent; Texas Sen. Ted Cruz, with 5 percent; and noted evolution-denying neurosurgeon Ben Carson, with 5 percent. Walker, who has not officially announced his candidacy, fared even better when second choices were factored in. Of likely GOP voters, 12 percent said they’d pick the Wisconsin governor second, giving Walker a combined first-and-second score of 24 percent, higher than any other candidate. Paul and Bush both delivered a combined first-and-second score of 21 percent. The poll of 952 likely New Hampshire voters was conducted last week and released on Sunday. Not surprisingly, Hillary Clinton delivered a far more commanding lead over her rivals among likely Democratic voters, with 62 percent saying she’d be their first choice. Sen. Bernie Sanders, independent from Vermont, was a distant second, with 18 percent of likely Democratic voters saying they’d vote for him if the Democratic primary were held today. Despite Walker and Paul’s slight edge, they may not have the best chance of beating Clinton, the presumptive Democratic candidate. Respondents were also asked which candidate they’d vote for if the presidential election -- still more than 18 months away -- were held today. In the event of a face-off with Clinton, Bush and Rubio had an edge over their rivals, trailing Clinton by 2 percentage points. Read the full results, methodology and infographics here.